My father was recruited by the Rock Island Railroad when he crossed the International bridge at El Paso in 1910. 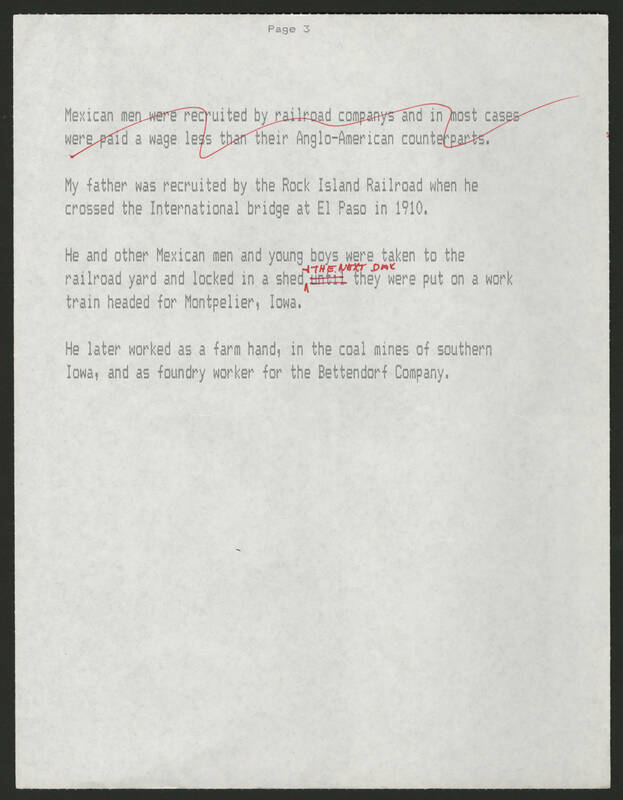 He and other Mexican men and young boys were taken to the railroad yard and locked in a shed the next day they were put on a work train headed for Montpelier, Iowa. He later worked as a farm hand, in the coal mines of southern Iowa, and as foundry worker for the Bettendorf Company.